Have you ever noticed that as we get older, soft lighting makes us look better? Well, the same often holds true for landscaping. Even the most luscious, green, and perfectly manicured yard is even more magical at night when its been strategically lit. 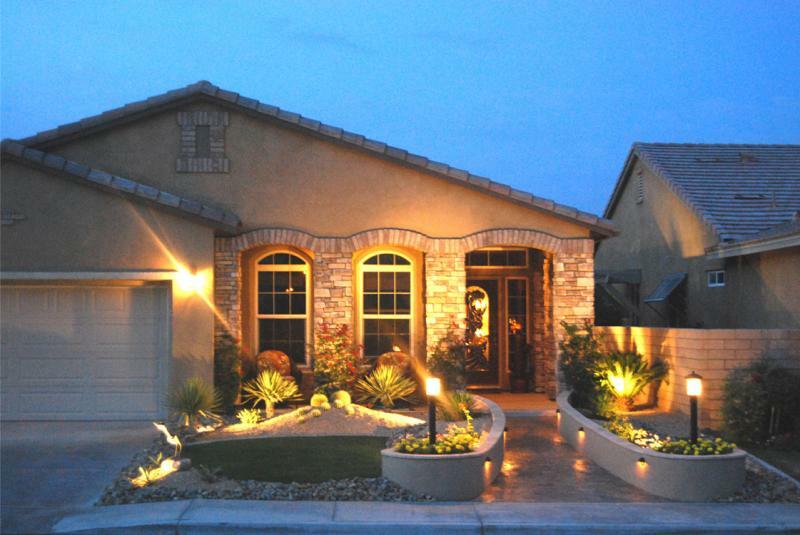 Check out how these yards shine when the sun goes down. 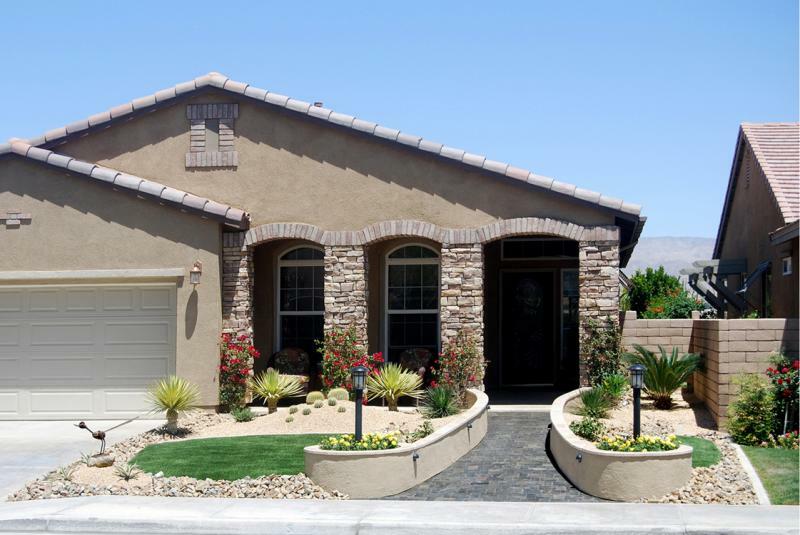 The front lawn below has one bright light by the garage for visibility and security. Thats the primary nod to practicality. 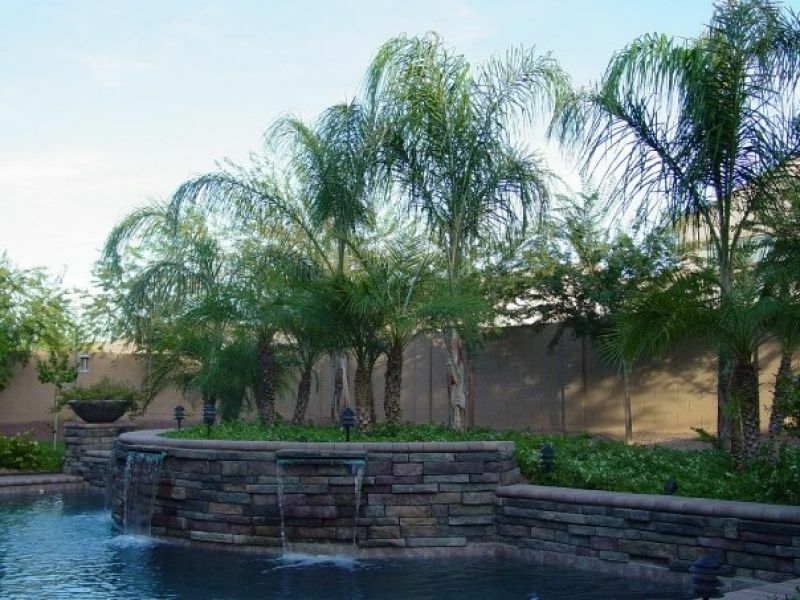 Most of the lighting focuses on the landscaping effects for the sheer enjoyment of creating something beautiful. The tiny lamps set into the raised edges of the walkway border are the icing on the cake. 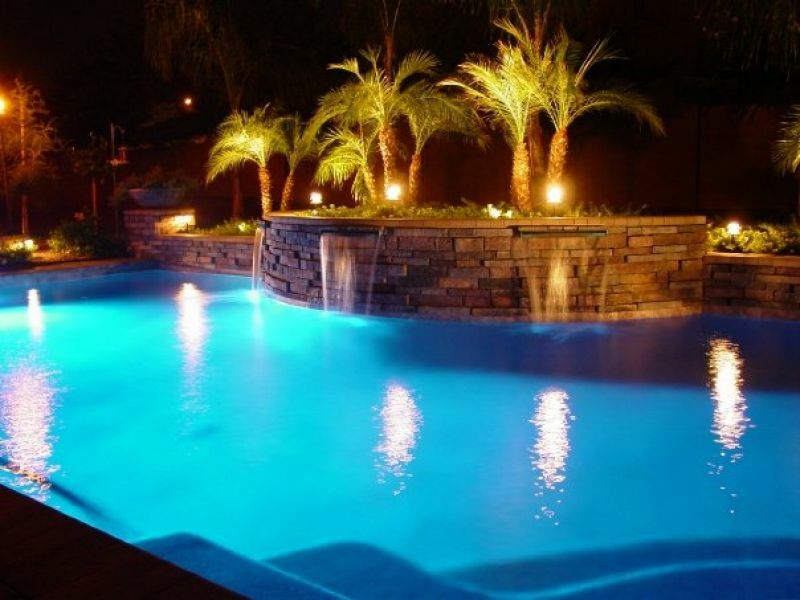 This pool owner has chosen to place lights above each of their 3 waterfalls so these details dont get lost in the dark. You can tell that tinting the pool interior blue was worth the money here. During the day, the effect isnt noticeable with the sun glaring off the surface. At night, it gives the area an other-worldy glow.